It just so happens that two of my favorite May celebrations are both happening this Saturday, the Kentucky Derby and Cinco de Mayo. Today let's focus on the Run for the Roses. You'll see a variety of styles in the stands but you can count on a sea of cocktail dresses, heels, pearls and let's not forget the hats. 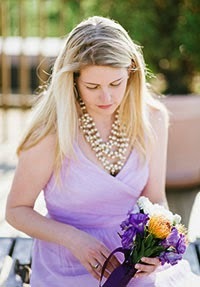 The first is a classic look for the sophisticated southern lady. If I was lucky enough to make it to the Derby I would most likely rock this look. 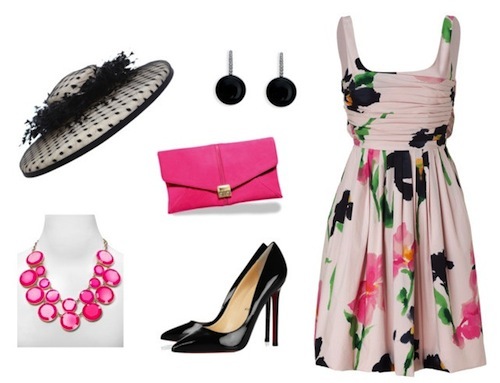 But not all Derby goers are as prim and proper; some like it hot (or colorful). Bold style such as this black and fuchsia ensemble are just as at home in the stands. Thinking about throwing a Derby Day party. It couldn't be simpler. Find recipes for a true southern spread here. And don't forget about the official Derby cocktail, the mint julep.